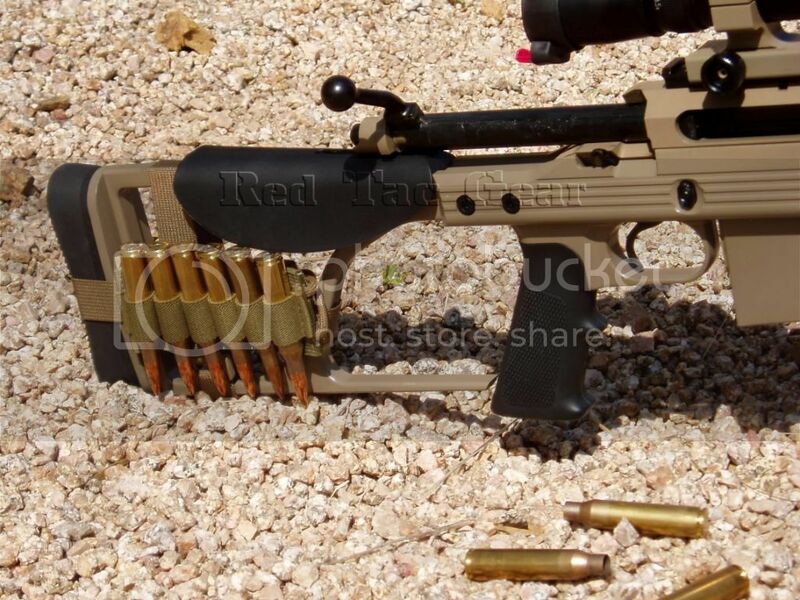 Red Tac Gear • View topic - Armalite Ammo Management System. Post subject: Armalite Ammo Management System. These stocks are a funny breed in themselves. This is what I have come up with for you folks that have been wanting something like this that I already make. Colors are: O.D., Khaki, Foliage (grey), & Black. This mount system will come with 1 velcro backed ammo card for .308, .338, or .50 cal. Price is $50.00 for 1 complete set up + shipping.